There are so many things to do in the Outer Banks that it’s no wonder it is one of the most popular North Carolina vacations. 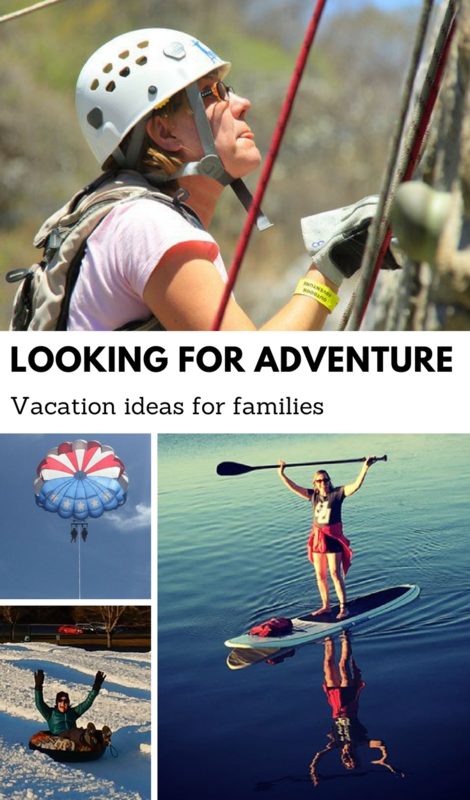 All those options can make planning an Outer Banks family vacation seem challenging at first. 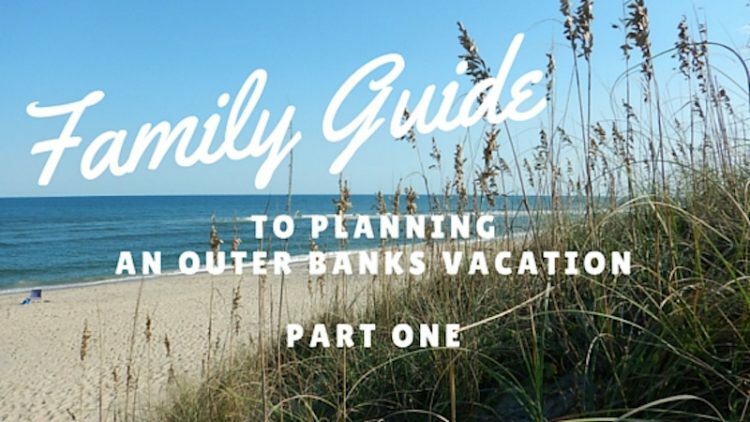 This Outer Banks travel guide is designed to make planning an OBX vacation easier. This Outer Banks visitors guide has three parts. In this first part, I provide a general overview of the region and Outer Banks beaches. The second post covers where to stay in the Outer Banks, and the third post discusses things to do in OBX. Put them all together and you have a complete guide to Outer Banks, North Carolina beach vacations! Where is the Outer Banks? The Outer Banks is a string of barrier islands at the northeast end of North Carolina. The Outer Banks stretch from Corolla, just south of Norfolk, VA and east of Elizabeth City, NC to Ocracoke, east of New Bern (North Carolina’s first capital city). The islands of the Outer Banks run along the eastern edge of Currituck Sound and Pamlico Sound. The Outer Banks islands and small towns are connected by Highway 12. There are two ways in (by road) and another, slower way in, by ferry (weather permitting). Most travelers come by road, from Route 64 through Manteo to Route 12 which connects the Outer Banks from north to south. The two routes come together at roughly the center point of these barrier islands. Travelers can turn left (north) to go to Nags Head, Duck and Corolla. Or they can turn right (south) and head to Avon, Buxton and Hatteras. What are the best places to stay in the Outer Banks? When planning Outer Banks family vacations, one of the most important considerations is where to stay. It takes more than an hour to drive from the north end of the OBX to the southern end of the region. When considering your OBX vacation, think about which Outer Banks attractions most interest your family. Each region is known for something unique. The northern reaches include the quaint towns of Duck and Corolla, home to the famous “wild horses.” Visitors here can expect world-class spas, upscale lodging options and high end dining. 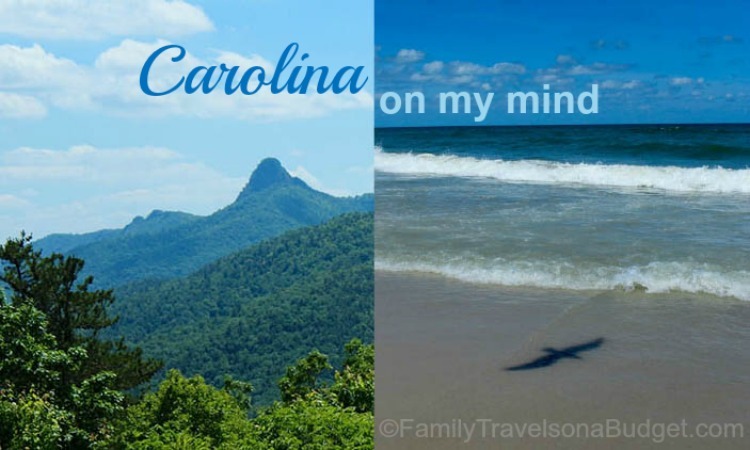 From North Carolina, get here by traveling east on NC 64 until turning left on Hwy 12. Visitors from the north (Virginia) come south on Route 158 before crossing the Wright Brothers’ Bridge and turning left. Things to do in Corolla, North Carolina. Corolla is the he most remote point on the Outer Banks, and is made up mostly of Currituck National Wildlife Refuge. Perhaps you have heard of the wild horses of Corolla? Other activities in Corolla include lounging on the beach, walking and biking the trails of the Refuge and relaxing at expansive Corolla beach rentals with great views. Things to do in Duck, North Carolina. Duck is located just south of Corolla. Duck is known for having great beaches, water sports and outdoor activities, fine dining, and eclectic shopping. Every October, the town hosts the Duck Jazz Festival which draws people from around the globe. The town is built for tourists — easy to navigate by bike or on foot. 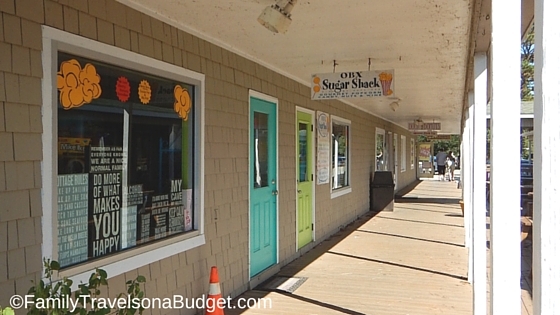 High end and casual restaurants are connected by the Duck Trail and by an expansive boardwalk on the sound side of Highway 12. Duck is quite dog friendly, too — just follow leash laws! Most central, and also the most populous area, this section of the Outer Banks is closest to the North Carolina mainland. Families planning an Outer Banks vacation and wanting flexibility should consider staying in this area. This area has the most Outer Banks rental homes available: Soundside (facing the Albemarle Sound), Oceanside (homes along the Beach Road, though not necessarily oceanfront), and “between the highways” (Between Highway 12, aka “Beach Road,” and Hwy 158). Amenities like family friendly (chain and non-chain) restaurants, movie theaters, putt putt golf courses and shopping centers are easy to get to making this an easy-to-plan Outer Banks vacation. Things to do in Kitty Hawk, North Carolina. Kitty Hawk has a great mix of laid-back and upscale vacation getaway. Those who enjoy quiet getaways, nature and golfing might prefer the Soundside area. Oceanside vacationers will appreciate fabulous views of the Atlantic Ocean, but the beaches in this area are narrow providing only limited space for beach-combing, sand castles and lounging. “Between the highways” vacationers can enjoy easy access to the amenities of the area, with an easy walk to the beach. With afternoon rains a regular part of the Outer Banks summer, having access to shopping and theaters is a great perk! Things to do in Kill Devil Hills, North Carolina. Kill Devil Hills has 6,000 year-round residents making it one of the larger permanent communities on the Outer Banks. It’s also one of the most popular vacation destinations with a number of shopping, dining, entertainment and lodging options. Like Kitty Hawk, the sound side is quieter, offering quaint cottages for family escapes. Along the Beach Road, vacationers can enjoy great surfing and wide stretches of sandy beaches to relax. Whether staying beach front or “between the highways,” easy access to entertainment and dining options provide something for everyone. Things to do in Nags Head, North Carolina. The most popular Outer Banks vacation destination, Nags Head is quintessential “OBX” (though I never knew it). Wide, sandy beaches with great surf are good for families and adrenaline junkies. Attractions like Bodie Island Lighthouse, Jennette’s Pier and Jockey’s Ridge State Park are unique to the area. 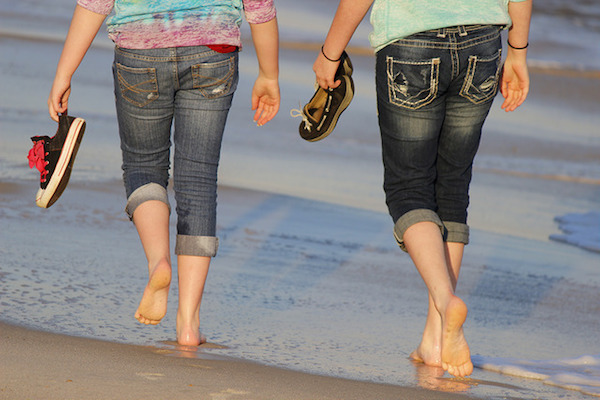 “Between the highways” lodging provides families everything families might need for a weeklong Outer Banks vacation from shopping and dining to indoor activities for those beach breaks. Photo credit: OuterBanks.org, used with permission. At Highway 12, turn right to discover this unique region, home to fishing charters and great seafood. Less crowded than the central region, this area offers a surprising number of activities for active families. This area begins at Pea Island National Wildlife Refuge, a natural treasure the whole family will enjoy. Beyond that, you’ll see Rodanthe, a small community made famous by the Nicholas Sparks’ novel (and movie) Nights in Rodanthe. For what it’s worth, yes, the house is real — and it is a rental (though it’s usually booked more than a year in advance). Things to do in Avon, North Carolina. This small town offers a great blend of attractions and solitude. Avon is known for its unspoiled beaches which are lined by beautiful dunes and luxurious beach mansions. 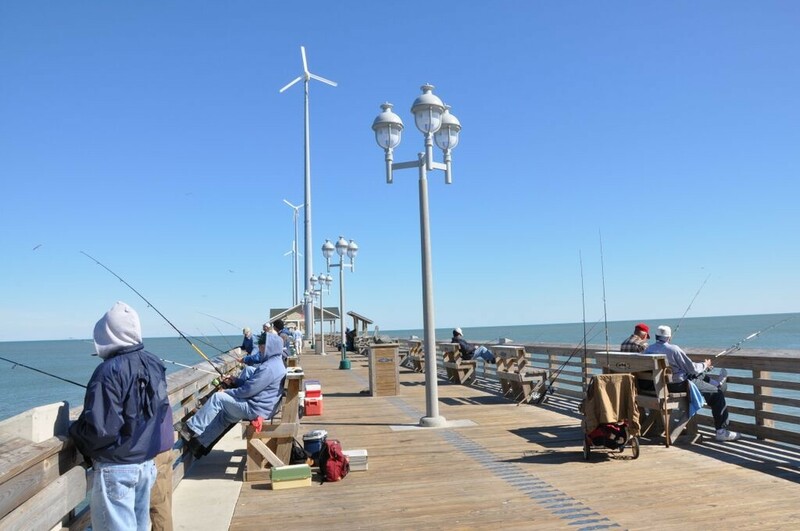 The town boasts many restaurants (including a few chain restaurants), a spa, gift-shops, a putt putt course and a fishing pier, all offering conveniences that make vacationing easy. Studio 12, a local art shop that offers classes, is a great place to make your own Outer Banks inspired souvenir. At the same time, those who want a quiet getaway are sure to find it. Because Avon is so centrally located, it’s the best “quiet spot” on the Outer Banks for those who also want the fun and excitement of Nags Head to the north. Things to do in Buxton, North Carolina. Buxton’s geography makes it a unique destination among all the Outer Banks towns. Buxton is located at the point — where Hatteras Island goes from running primarily north-south to east-west. At this “elbow” the Cape Hatteras Lighthouse stands guard. The lighthouse is open spring through fall to visitors. The rugged waterfront is popular for surfing, which is among the best in the world due to the flow of the Labrador Current from the north and the Gulf Stream from the south. Other activities in the Buxton area include sea fishing, driving 4X4s on the beach (license required), hiking the trails of Buxton Woods and kite boarding on the sound side. Families with young kids who want to play in the waves might prefer a different area, but those who want to see waves crash on the beach will love it here. Things to do in Hatteras, North Carolina. At the southern tip of Hatteras Island, the town of Hatteras Village (as it is officially named) is a haven for sea fishing. This section of the Outer Banks is the quietest of the southern end of Outer Banks. This coastal fishing village also has restaurants (some which cook your fresh catch), art galleries, charter fishing and tour boats. 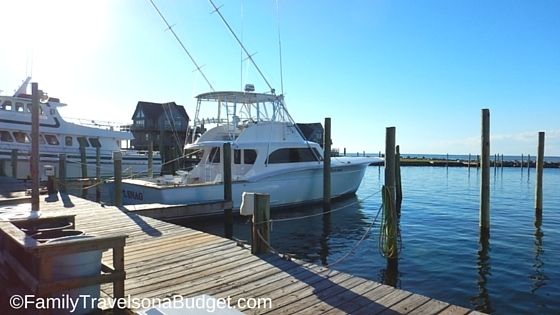 On vacation at Hatteras Island, enjoy charter fishing in the morning, watch as your fish is cleaned at the docks, and then head to the local restaurant to have it prepared for dinner! Things to do at Ocracoke, North Carolina. Ocracoke is the southern tip of the Outer Banks, most easily reached from the mainland by ferry which runs year-round (limited in late fall and winter). Ocracoke considers itself “the cure for the common beach.” Because of its location, it is less populated than some of the other beaches. But, there’s still lots to do here: sailing, kayaking, touring the lighthouse and hanging out on the beach. Adventures include discovering the lore of Blackbeard the Pirate, fishing charters, biking and kite surfing. What is the best place to stay at the Outer Banks? There is no “one size fits all” at the OBX. If you want the convenience of movie theaters, shopping, restaurants and other activities, the central towns are best. If the Corolla wild horses or quiet spa getaways are more your thing, then head north. If water sports, especially kite boarding and surfing, are what you want, head south. As you can see, the Outer Banks offers a wide variety of vacation experiences. So which is best? That depends on what you would enjoy most. 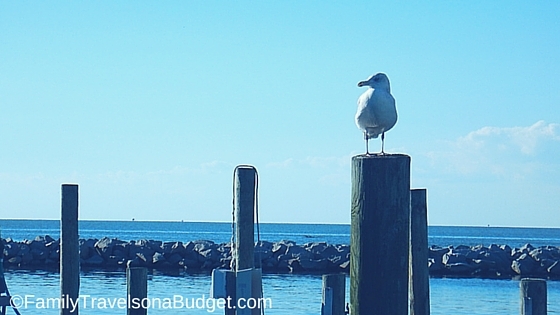 Have you been to the Outer Banks before? What do you think is the best place for an Outer Banks vacation? Thanks for the tips. 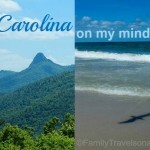 I love to travel and have been to North Carolina but not this region of it. I would love to visit some day now. Well, as one who took 14 years to get there, I won’t tell you to hurry up! But I will say it’s a great place to vacation! Nags Head is in the heart of the OBX, Rosey! GREAT for families like yours. 🙂 Hint Hint!!! This is such a beautiful place. There seems to be so much do to, see and enjoy. I like the simple beauty of it all. Simple beauty! That’s a great way to describe it. I hope you get to explore one day soon. It really looks like you can have a wonderful family vacation no matter what your tastes are. I would like to go to Hatteras, village. Oh, how I miss The Outer Banks. I grew up in VA and we’d often drive there for summer vacations or for New Years Eve parties back when I was much younger. I would love to share this place with my family one day. Tiffany, what a great memory! Our family goes to Hilton Head for New Year’s every other year. It’s so fun to have a special memory like that. I hope you get to take your family sometime soon! Maybe start that tradition over again? This looks like a gorgeous place to visit. I love all those beautiful coastal towns. The beach, the marinas, the cedar shingled houses. It reminds me of our family vacations in Shelter Island, NY when I was a child! There’s just something about coastal towns that is magical! Nostalgia, even when brand new. WOW… I know where I want to retire! If you can afford to retire in that house, can I be your new BFF? 🙂 Lots of people do retire to the OBX area though. Ok now I have to add this is my growing must visit list. This place looks amazing. I am so in on visiting. My “must see” list gets longer the more places I go. That’s weird, right? I haven’t visited the Outer Banks yet but will definitely think about it for next summer. It sounds like a great place to vacation. Stay tuned for parts 2 and 3. 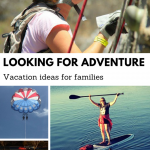 Vacation planning made really easy! It is definitely a great place to visit! There is so much to do, see, and eat! There was something special to love in each area! I think most of my Outer Banks trips will include more than one region. I have always wanted to visit there. It sounds like such a family friendly place. I was so surprised by all there is to do! Stay tuned for Part 3 — lots to do! 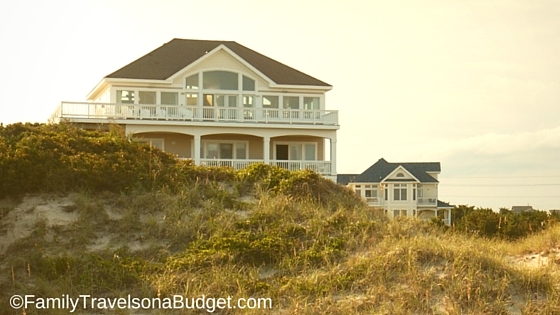 I enjoyed all of the Outer Banks area I visited, but I really love Avon and their amazing beach houses.